There's no direct upgrade path from MyDNSConfig 1.x to MyDNSConfig 3.x, however it is easy to import the DNS records from MyDNSConfig 1.x into MyDNSConfig 3.x. In this chapter I assume that your old MyDNSConfig 1.x uses the database table mydns, and that your new MyDNSConfig 3 installation uses the database dbmydnsconfig. 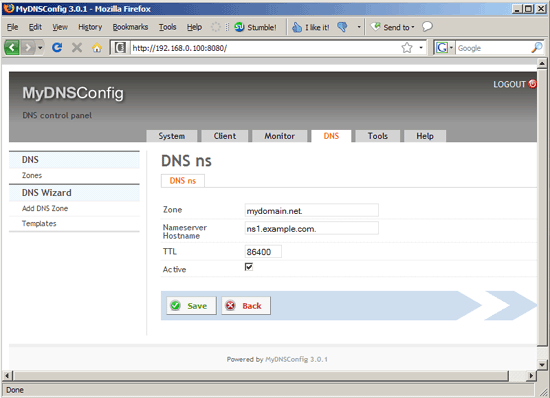 Afterwards, you can access MyDNSConfig 3 on port 8080 (e.g. 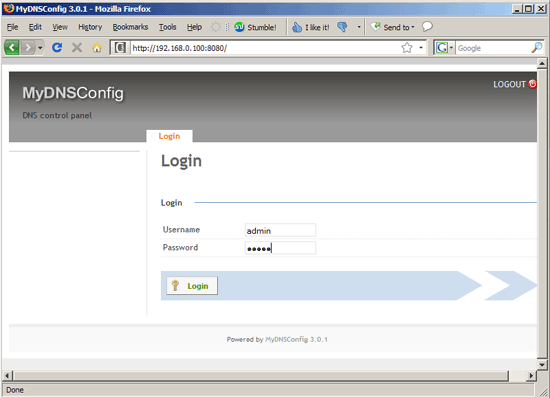 http://server1.example.com:8080 or http://192.168.0.100:8080); the default login is username admin and password admin. 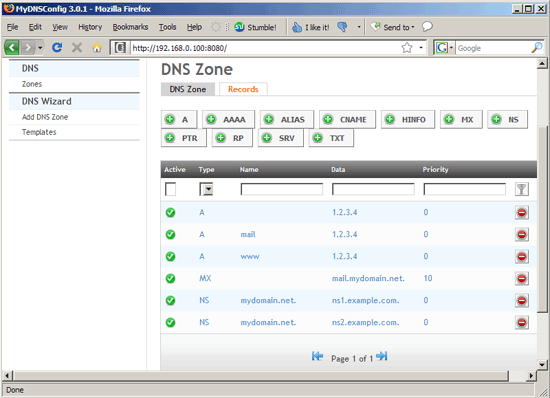 Please note that these MySQL queries make that all zones are owned by admin. 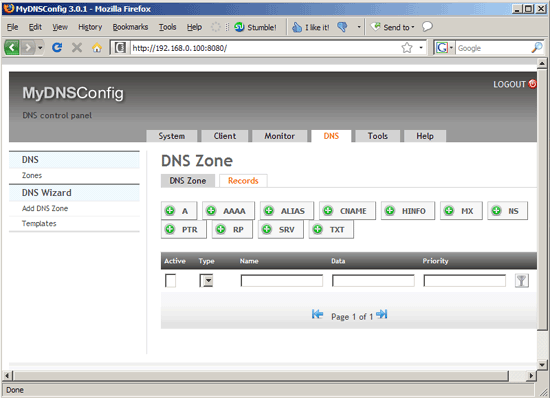 If you have zones that should be owned by someone else, create a client for each user in MyDNSConfig 3 and go to the DNS tab and select the correct client for the zones. This is a great article - thank you very much. 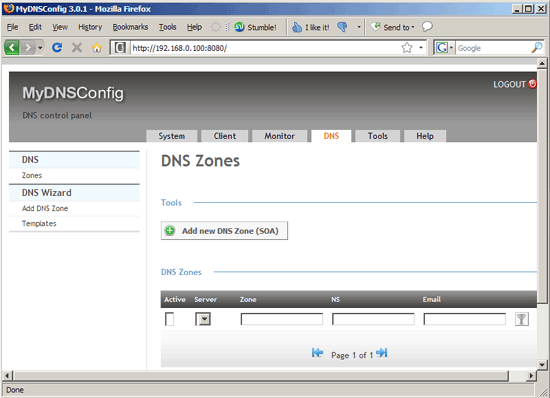 I am about to do that, but I'm not clear how to add extra / secondary servers to the primary ns1? Is it possible to add ns2 and ns3 and get the to read the data from ns1, without the need to do mysql replication on the mysql database level?